We are very excited to be hosting a reading of a new script by Korean-American playwright at our Groundworks Works in Progress show on July 22nd. 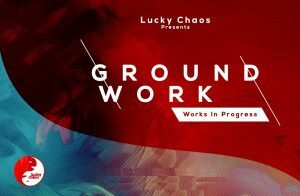 We created Groundworks as a space for artists of color to experiment and get feedback on their pieces. A script reading is also an opportunity for actors to be part of the process. Email Norman@LuckyChaos.com if you want to read for one of the parts listed in the casting call below. Synopsis: This play takes a close look at two spiritual kindreds struggling to stay together as a unit against each, self induced, challenges barring them from achieving that unity.